Tri Energy is making the news today because it is at the heart of a $50 million dollar ponzi scheme. A daughter has taking the brave steps of actually turning her mother in for the ponzi scheme that the mother was part of. The daughter just couldn’t sit by and watch her mother scam women with children out of hard earned money. 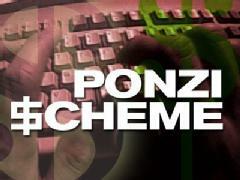 Tri Energy, Inc. sits right at the heart of this ponzi scheme. One of two investments involved Tri Energy in the ponzi scheme. Tri Energy claimed to own four coal mines in Kentucky. The company needed investments to put the mines on line, when huge profits would start pouring in. In reality, there were only two mines, and neither was profitable. This accounted for $32 million of the scheme.